The next time a woman dies at the hands of a violent partner and we read with trembling hearts that she could not get any legal help to stop that partner, we will be able to sheet the cause of death to Tony Abbott and Joe Hockey and whichever other disgraceful politician allowed cuts to community legal centres in Australia. How long will it take for the Abbott government to start counting the cost to the community of its budget changes? And how long before someone – anyone – in their ranks considers the impact on Australian families of the cuts to health, education, benefits of all kinds? And I wonder how long it will be before we start counting dead women. 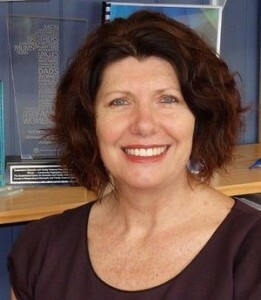 Australia’s new body to research violence against women is the National Research Organisation for Women’s Safety (ANROWS) and its chief executive is Heather Nancarrow, who has long experience in this area. Heather Nancarrow says there are gaps in data on violence against women and their children and she hopes to fill those gaps. I wish she didn’t have to. But there are matters about the budget which concern her and should concern all of us. She fears cuts to community legal centres may lead to a reduction in the reports of domestic violence and sexual assault. There is clear evidence there is already a serious disparity between reports and prevalence. She also says there is a correlation between economic disadvantage and domestic violence. We can’t be sure it’s the cause but these two factors appear alongside each other in too many cases where women are killed at the hands of their partners. The Australian Bureau of Statistics’ Personal Safety Survey for 2012 found one in six women experiences domestic violence at the hands of a partner she lives with or has lived with. That figure does not include date violence or the violence from a partner not sharing the home. If you were the victim of sexual abuse before you were 15, you are nearly three times as likely to experience partner violence after the age of 18. And here is the crunch, and one which will be much tougher for women in the light of changes to funding across all sectors: If you are the victim of domestic violence, you are highly unlikely to report it to police if you still live with the perpetrator. Now it will be harder to leave and even harder to get legal support. The Community Legal Centres across Australia have supported women for years. Last September, the centres discovered they would all suffer cuts which they thought would amount to $4 million. Now they discover it’s closer to $6 million. That money will be cut from about 60 services all around Australia and family violence work will face a huge cut. Those centres are where women go to get the support they need to apply for intervention orders, for apprehended violence orders, for protection orders. That’s where you go if you need help to keep your partner away from you, away from the children, away from your mum, who is half his size. “That may be the only way to keep an abusive partner away,” says Liana Buchanan, chair of the Community Law Australia campaign. As a result of these changes – and because I, along with many other women, fear the changes, please count the cost to our community. The British campaign, Counting Dead Women, is a powerful memorial to those women who have died violently. On behalf of online feminist action group, Destroy The Joint, I rang British campaigner Karen Ingala Smith, who said having international partners in the project made change more likely – a “united we stand” kind of approach. I hope she’s right. But I wish this wasn’t necessary. The Australian movement will, like its British counterpart, acknowledge women who died from violence. While it will have some focus on partner and family violence, it will also remember those women who have died at the hands of strangers. It will serve as a memorial for those women but it will also serve to remind politicians all their actions have outcomes. We need to protect the safety of living women in Australia and if it means we have to count dead women, so be it.